send emails and announcements to multiple courses at once. 1 From the My University of Southampton screen find the Tools box, within the box click on Instructor Quick Tools. 2. You will be presented with a list of quick tools. 1. Click on Course Availability. 2. You will be presented with a list of courses where you have the privileges to change their availability. 3. Current availability of each course is indicated by an On/Off toggle. 4. To make a course available click on the Off icon beside it to turn the availability setting to On. 5. Likewise to make a course unavailable click on the On icon beside it to turn the availability setting to Off. Using the Quick Tools to make the same announcement to multiple courses at once. 2. Select to which courses you wish to make the announcement by ticking the box beside each required course. 4. 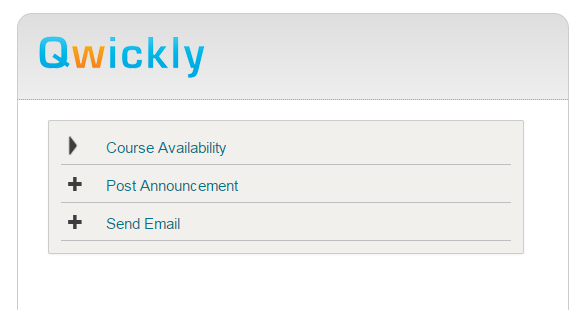 If you wish for an email to be sent to users tick the Email announcement tick box. If you do not tick the box no announcement email will be sent. 5. Click Submit to finish. 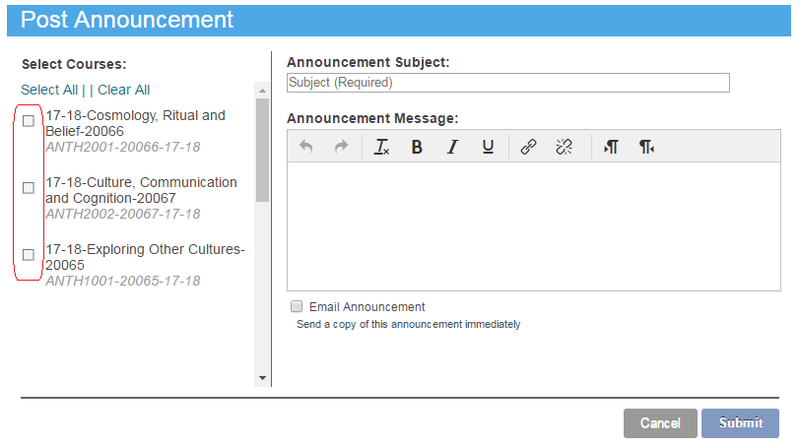 Using the Quick Tools to make send an email to users on multiple courses at once. 1. Click on Send Email. 2. Select to which course’s users you wish to send email by ticking the box beside each required course. Note that the email will be sent to all course users, not just students. 4. 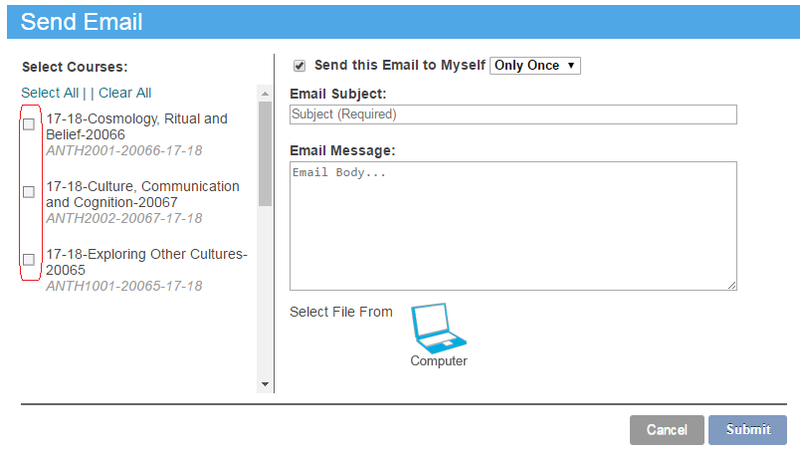 Select whether you wish to receive a copy of the email once, or once per course by choosing the relevant option under “Send this Email to Myself”. 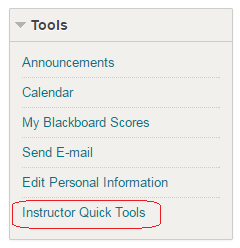 The instructor quick tools are a freeware plugin for Blackboard.